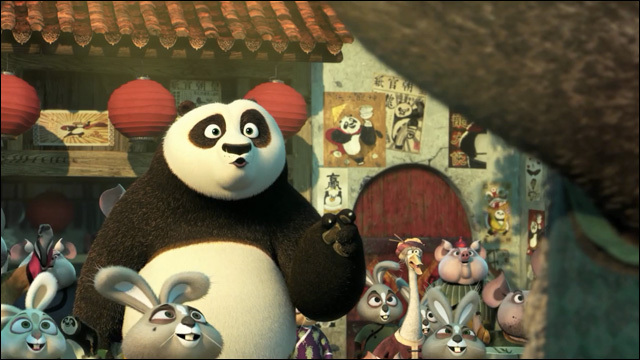 Po is back for the third installment of the hit animated martial arts comedy adventure franchise. You knew it had to happen. DreamWorks just dropped the first trailer for Kung Fu Panda 3, the upcoming latest installment of the hit animated martial arts comedy adventure franchise. Po and the gang are back for more fuzzy kung fu comedy, in what has surprisingly turned out to be one of my favorite animated movie series. "When Po's long-lost panda father suddenly reappears, the reunited duo travels to a secret panda paradise to meet scores of hilarious new panda characters. But when the supernatural villain Kai begins to sweep across China defeating all the kung fu masters, Po must do the impossible -- learn to train a village full of his fun-loving, clumsy brethren to become the ultimate band of Kung Fu Pandas!" To be honest, before the first Kung Fu Panda was released, I was bracing myself for the worst, but it turned out to be a really fun, wonderful homage to the amazing tradition of kung fu cinema that I love so much. Kung Fu Panda 3, an official co-production with China, will feature the voices of Jack Black, Angelina Jolie, Dustin Hoffman, Jackie Chan, Seth Rogen, Lucy Liu, David Cross, Bryan Cranston, Rebel Wilson and J.K. Simmons. Jennifer Yuh Nelson returns to serve as co-director. Kung Fu Panda is scheduled to hit theaters on January 29, 2016.